Get in the mood for the season! Go beyond the expected beer and pizza for your guests with a fun and bold design coordinating with your favorite team! 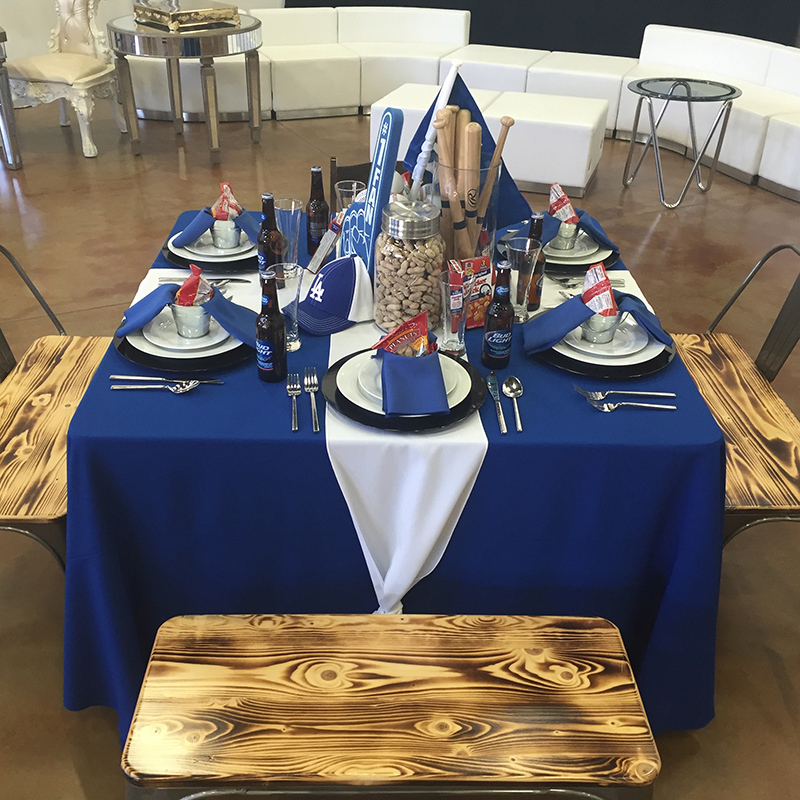 This design features Dodger blue linens, Tivoli flatware, a square table flanked with our new metal benches, and more! Add mason jars filled with peanuts and some Cracker Jacks to put this design over the top!